This vintage, 1941 Solar Aqua is as fine and all original example. The case measures 30.5mm. in the original solid steel original, ref. 2784 OYSTER case by ROLEX. 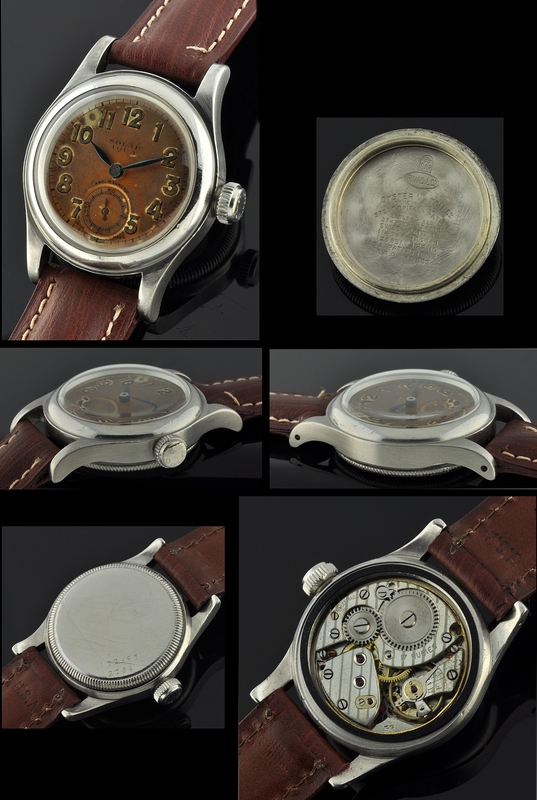 These watches were produced by ROLEXÂ and sold in CANADA to soldiers going overseas in WW2 and are highly collectable! 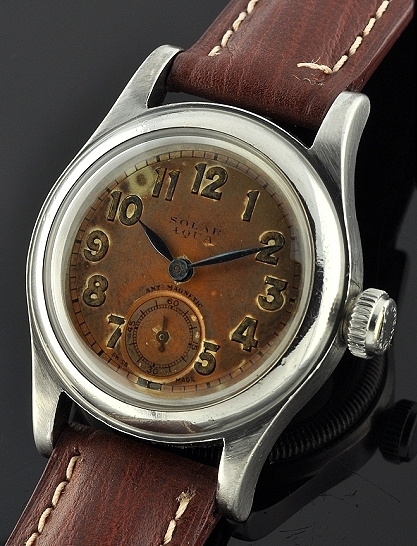 This vintage and original suntanned dial is fabulous and retains the original blued steel hands. These suntanned dials lend authenticity, rarity and are more valued by collectors. This watch retains its original OYSTER PATENT crown. The original, modified caliber 59 ROLEX movement is signed ROLEX under the dial and is all original, fully cleaned, serviced and accurate.